to a business or school, donate to a church. could do it (although clock would have to be slowed to the 10kHz range!). since you need essentially eight 9 to 512 decoders! 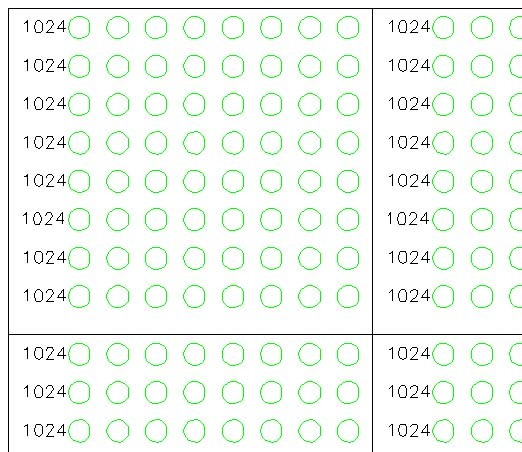 order of 125W, not too bad. a whole refresh scheme. I'd use flip-flops or real RAM. I've been looking for some for a similar type of project. >I don't know. These aren't very bright LEDs. Sell them on EBay ?? This started as a little thought. Now I'm kind of excited about it! The 400mil display would be a 180x81 pixel display. The 300mil display would be a 160x90 pixel display. 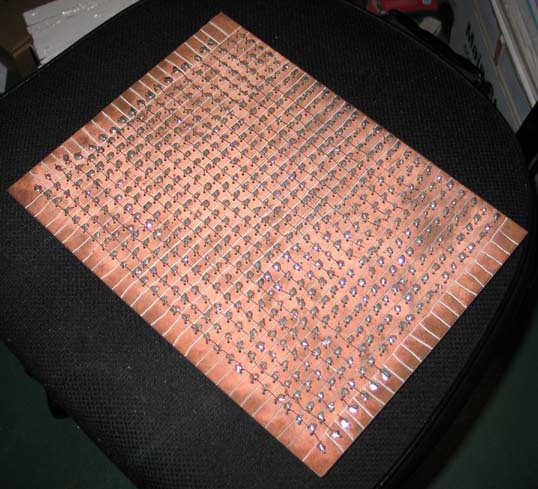 Here is a photo of a 400 mil spaced board that I hand made. 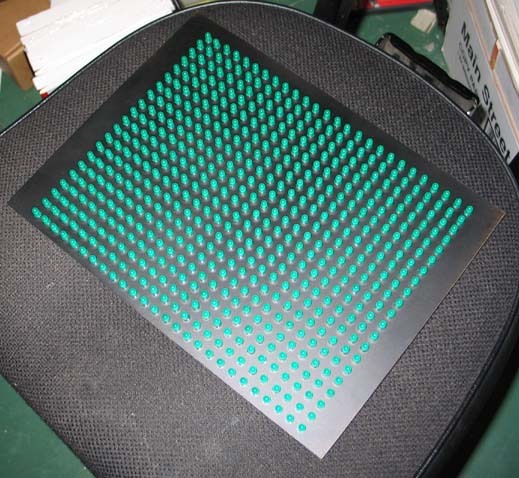 It is 22x26 I think, 572 LEDs. would buy the PC boards. Ah, that explains it. Winter darkness... You crave LIGHT!